I want to share a very unique and meaningful experience I had a couple days ago. This past Friday, I was able to go on what Peace House calls a verification trip. The point of verification trips is to make surprise visits to the kids who have applied to be students at the school next year, and decide whether or not they should be accepted. This involves talking to family members, teachers, neighbors, and the kids themselves, and also trying to detect for any lies about their circumstances. It is fairly common for families to be deceitful to help increase the chances of the kid's acceptance. A kid last year even went as far as moving to a poorer home for a couple of weeks during the time they expected one of the school's visits. On Friday, there were three teachers, the boys patron, and myself, and our goal was to locate and make decisions on three of the kids. None of the kids really had addresses, and so it was an adventure just trying to find them. For two of the kids, we first found the location of their siblings, and then picked the siblings up from their school so they could show us the way. I knew these kids would all be very poor, but it truly was eye opening to actually visit their villages and homes. One of the home visits really had an impact on me. The home, if you can call it one, consisted of two very small rooms with mud floors and no furniture except for a few wooden stools and a tiny talbe. We sat in there in the dark (no electricity), covered in buzzing flies. There was a slight smell of cow dung, for many walls in Africa are covered in old, dry cow dung to hold the house together, and this house was no exception to that wonderful technique. While we were talking to a neighboring mom inside, there was a very small girl standing shyly in the corner. After a couple of minutes, she gained some confidence and made her way closer to us visitors. When she got close, I stuck my hand out to her. Slowly, she put her tiny hand out and gently set it on my hand. In another minute, she had both her hands on my palm, with all her weight leaning completely on me. That image of her tiny black hands lying on my big white palm has been very ingrained in my mind since Friday. I have been thinking, if only hands had minds of their own and could tell their stories, how incredibly different the stories would be of my hands and the girls hands. Why was she born there in a home where hope seems so dim and I was born in a home and into a family overflowing with hope. Why does she lie on a mud floor in tattered clothes and most likely hungry, and I generally lie on a comfortable bed in nice clothes and on an overly full stomach? My answer: God's wisdom and understanding is way beyond my own and I have no clue why. But, after a couple of days of mulling over my experience in my head, a verse put a new light on the picture of the hands. The verse is Psalm 73:23, and it says "Yet I am always with You; You hold me by my right hand." Often times, especially when I feel kind of spiritually dry, I will read Scripture or pray with one hand out imagining it being held by the Lord. In those moments, I feel loved, I feel warmth, and I feel hope. Although my situation is a hundred times better in worldly standards than that little girl, our hands have the same possibility of the incredible joy and hope - to be held by their loving and caring Creator and Savior. God is always with me as he is in that dark, mud and cow dung covered room. I do pray that her worldly situation improves, that her brother, whom we accepted later that day, is able to bring much needed support to his family through his education at Peace House. But much more so, I pray she feels the warmth of her sweet, tiny hands being held by her true Father, especially as she has no earthly father. If you read this, give thanks for God's many material blessings to you, but above all else, give thanks for His saving grace and I encourage you to put out your hand for Him to hold and guide you with. 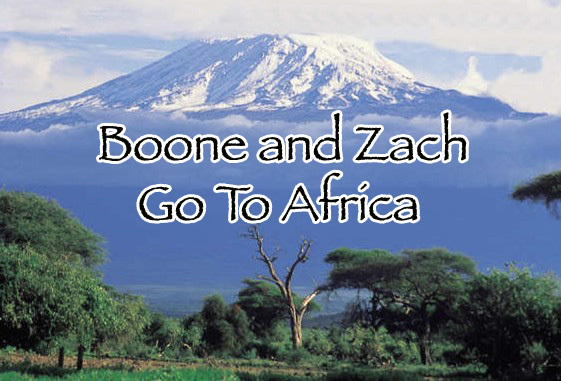 1) Zach and I have just decided that we will be heading to Zambia in a couple of weeks, where we will spend about a month and a half working as volunteers at a missionary training center there. The opportunity just opened up for us, and after praying and thinking about it for a couple of days, we think we feel led there. We are very excited about it! I will give more details about it later. P.S. Zach loves you all very much as well. He has been emailing more of his thoughts instead of blogging. Please email either of us whenever you want. We'd love to hear personally from anybody and everybody! 2) i will be e-mailing you...as soon as i find ur email addy. 3) i miss ya brother! what a beautiful thing, and beautiful wisdom over the situation. Im praying for you both, and we will definitely pray some more tonight at bible study. love ya and miss ya bro!